. Furniture Medic by MB Restoration . . Formerly Beim4 Furniture Restoration.
. . . 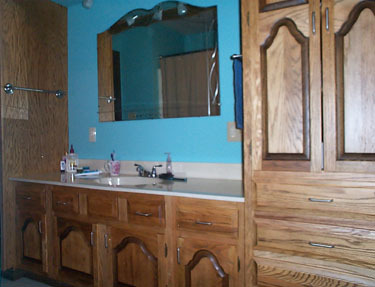 Paint, Rebuild, Enhance, or Reface Your Cabinets in Southern Illinois . . .
. Repair Cabinets . Paint Cabinets . Enhance Cabinets . 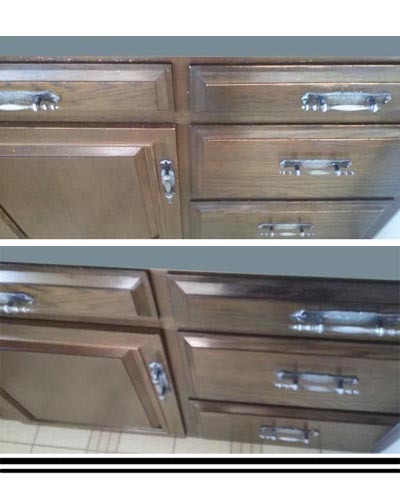 Refinish Cabinets . Reface Cabinets . Your Southern Illinois Cabinet Restoration Place . .
Let Us Refinish Your Cabinets so You Love them Again. 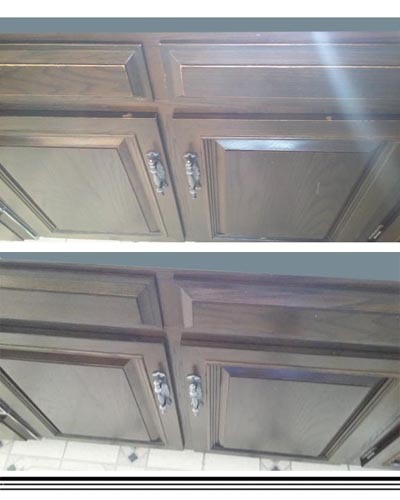 Another Project we can do for you is to Refinish your Cabinets. This is done by good old hard work. My cell: 618-246-6146. A Cabinet 'Enhancement' is shown in these photos. With this process you keep all your cabinets. And then two coats of a clear coat. way to refresh your cabinets. These pictures are of cabinets in Jefferson County. My client was very happy with her enhanced cabinets. and Drawers - You have New Cabinets! new sink, new toilet, new lighting. 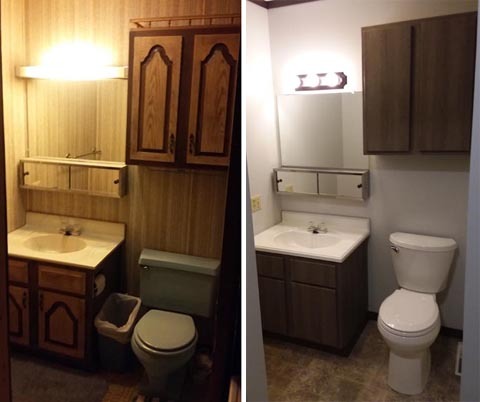 These Bathroom Cabinets in Nashville, Illinois were given a brand new look. The original dark stain was sanded off. Two coats of polyurethane was then applied. = a brand new bathroom! All for way less than the price of new cabinets. This of coarse, can also be done with kitchen cabinets. - Centralia, Vandalia, Herrin, Mascoutah, New Baden, and All Towns in between.